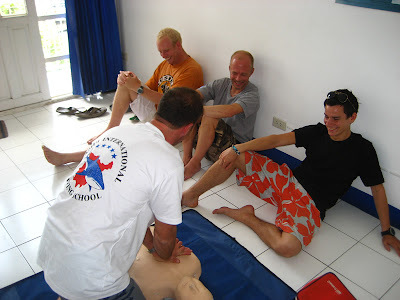 James, Simon, Fred and Adam participated in the EFR Instructor course, Gideon participated already last year in this course with me and Marcus was already an EFR Instructor before he joined the IDC, only Ulrike didn't participate. At 9.15 this morning we kicked off! James in action on the mannekin 'Little Annie', much to the amusement of Simon, Fred and Adam. 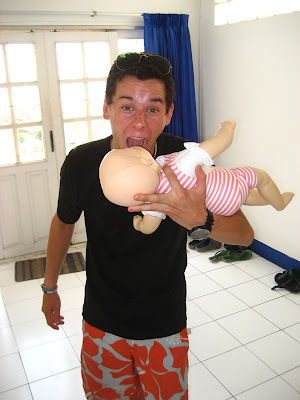 Adam showing off his baby eating skills! 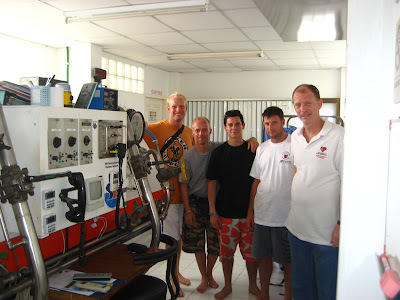 All of us combined in front of the control panel of the local chamber, where the course was held in the upstairs classroom, from left to right, Simon, Fred, Adam, James and Camille.